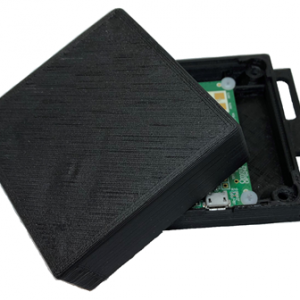 The 3D printed electromagnetic lens enclosure provides both protection for the OPS242 and lens for a tighter beam width and farther detection range. 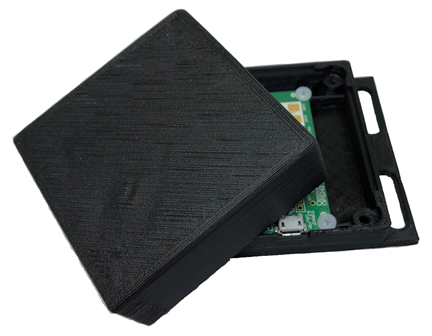 The 3D printed enclosure with electromagnetic lens creates a tighter beam width for the OPS242 while also increasing the antenna gain for farther detection range. The beam width is reduced from 76 degrees (azimuth/elevation) to 26 degrees (azimuth/elevation). 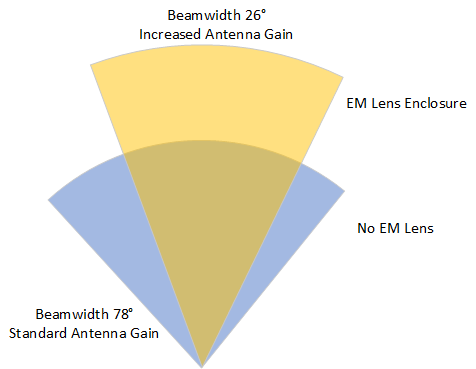 Additional antenna gain of 3-5dBi helps detect objects are farther distances. All this while also providing protection for the OPS242. Electromagnetic lens are sold with the OPS242 or to existing customers.